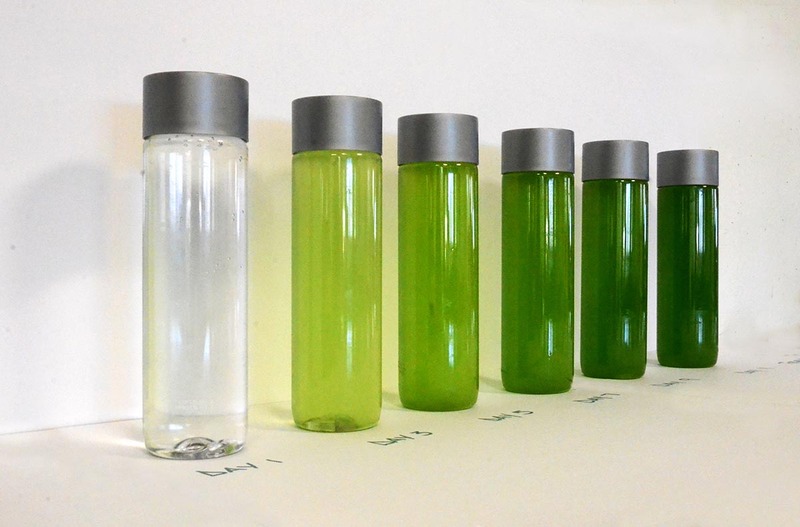 The Algae Façade project integrates façade and building technology research (performance, materiality, and feasibility) with embedded systems (sensors, actuators, and microcontrollers). 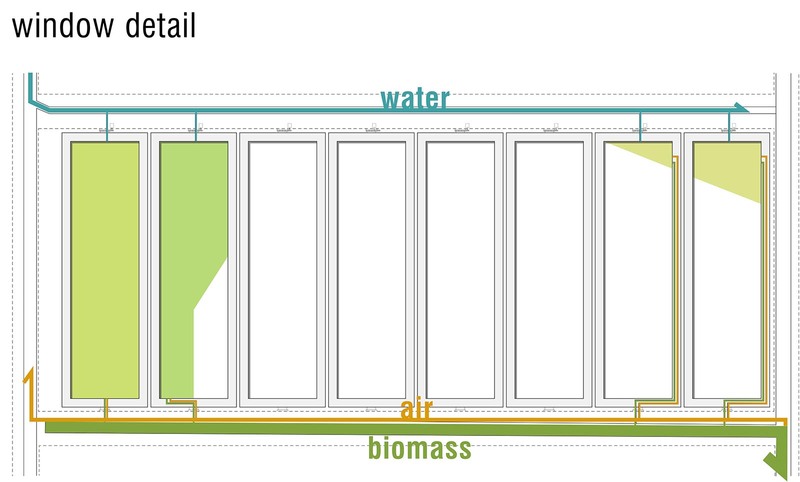 It deploys a double-skin building façade as a harvesting surface for algae growth for subsequent conversion into biofuel or as a simple carbon-footprint offset by absorbing carbon dioxide from the atmosphere. The algae façade functions as an adaptive building skin that optimizes sun exposure for algae panels and reduces solar gains in the inner skin of the double façade. 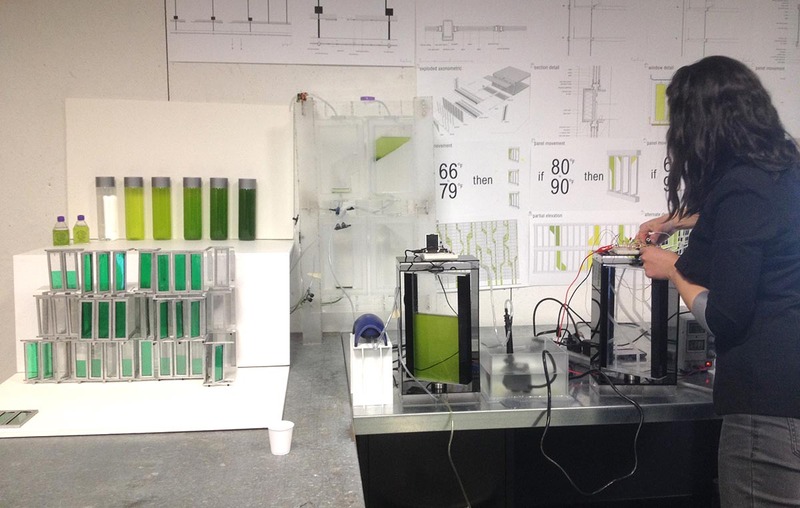 Students developed a series of adaptive and reactive prototypes each testing a particular functionality: (left) aerates and monitors temperature, (right) positions itself toward maximum light exposure. Panel rotational shown in the video captures scanning of the surrounding environment by a light sensor for optimal lighting conditions. There are a number of objectives that this design needed to achieve. In addition to tracking sun location and providing shading, it also had to monitor the growth of biological agents (algae). 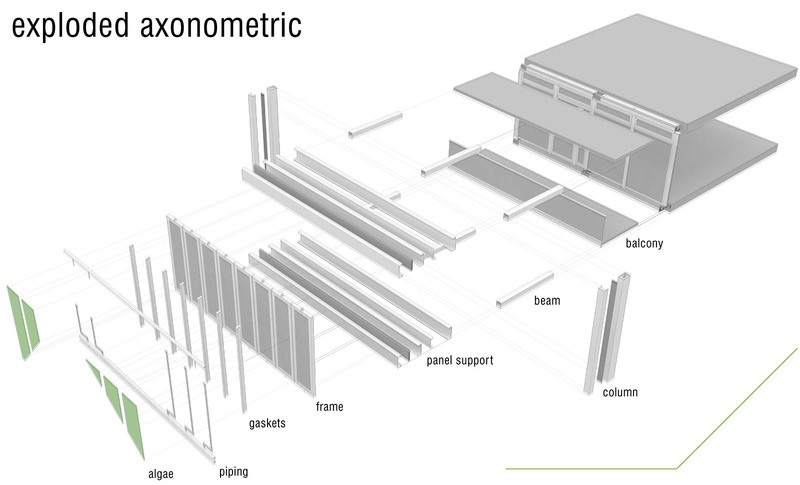 This meant aerating water inside the algae panels and collecting temperature data throughout the façade assembly, while allowing for various functionality overrides to maintain optimal building skin performance.